So, we have a lot to sort out today. 978 Words……Buckle Up! When we left Letter F-Fire In The Hole, millions of readers (yeah right) were wondering about the WB cartoon Road Runner/ Wile E Coyote, how a dynamite plunger works, and what is it that actually goes bang. (With some help from Wikipedia).Nitroglycerin was the first practical explosive produced that was stronger than black powder. It was first synthesized by the Italian chemist Ascanio Sobrero in 1847, working under Théophile-Jules Pelouze at the University of Turin. Sobrero initially called his discovery pyroglycerine and well aware of its danger, warned vigorously against its use as an explosive. In April 1866, three crates of nitroglycerin were shipped to California for the Central Pacific Railroad, which planned to experiment with it as a blasting explosive to expedite the construction of the 1,659-foot-long (506 m) Summit Tunnel through the Sierra Nevada Mountains. One of the crates exploded, destroying a Wells Fargo company office in San Francisco and killing 15 people. This led to a complete ban on the transportation of liquid nitroglycerin in California. The on-site manufacture of nitroglycerin was thus required for the remaining hard-rock drilling and blasting required for the completion of the First Transcontinental Railroad in North America. Thanks, Wiki! Pelouze had another assistant in his lab who became very interested in Sobrero’s work with Nitroglycerin; Alfred Nobel, the inventor of dynamite. Wait a minute…..you don’t mean “that Nobel” do you Zulu? Yes, my friends, the very same Alfred Nobel who the Nobel Prizes including The Nobel Peace Prize, is named after. Nobel wanted to find a safer way to use NG (Nitroglycerin). Dynamite contains sorbents which are an absorbent material that will absorb chemicals; in this case, NG. The idea was to encase the chemical to make it more stable. 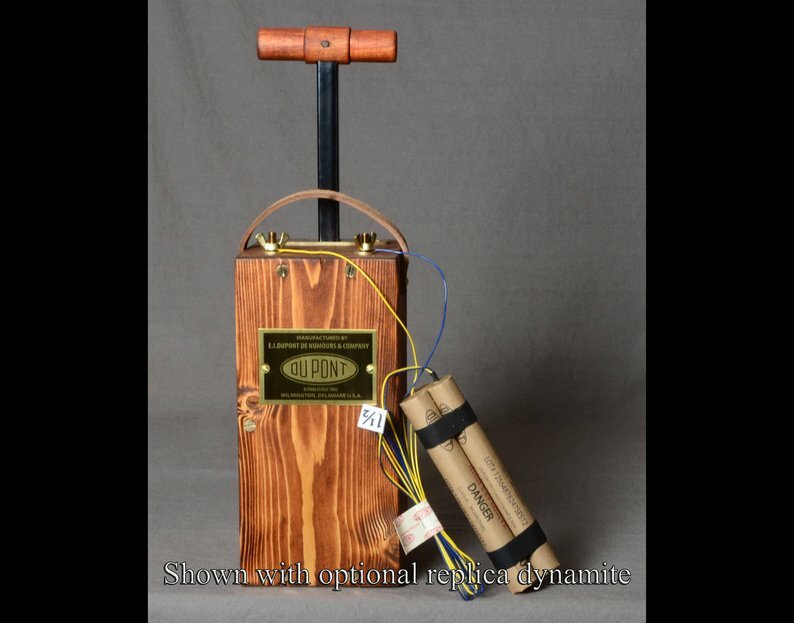 Dynamite has a waterproof casing, and sometimes a fuse connected to a small blasting cap. The sequence can go like this. 1. A fuse is lit. 2. The fuse burns down and ignites the blasting cap. 3. The blasting cap causes a small explosion. 4. The small explosion causes the NG to ignite and creates a much larger explosion. A few side notes; again, with some help from Wiki. On Alfred Nobel-In 1888, the death of his brother Ludvig caused several newspapers to publish obituaries of Alfred in error. One French newspaper published an obituary titled “Le marchand de la mort est mort” (“The merchant of death is dead”). Nobel read the obituary and was appalled at the idea that he would be remembered in this way. His decision to posthumously donate the majority of his wealth to found the Nobel Prize has been credited at least in part to him wanting to leave a behind a better legacy. The name Dynamite comes from the Ancient Greek word dýnamis (δύναμις), meaning “power”. Alfred’s brother, Emil Nobel and several workers were killed in one of Alfred Nobel’s manufacturing facilities while working with NG. In its earliest days, it was found that people who had heart conditions working in Nobel’s factory with NG felt “better” at work than home. NG would go on as a medicine used to treat angina (or as some of the Rhode Islanders are fond of saying; “Aarrrrrahgina…major, major Aarrrrrrahgina” after eating too much pasta and sauce) and prevent heart attacks by dilating blood vessels. The medical establishment used the name “glyceryl trinitrate” or “trinitrin” to avoid alarming patients, because of a general awareness that nitroglycerin was explosive……or as Wile E Coyote would say; KABOOM!! So…….back to Wile E. Coyote (“Finally Zulu!!!”). Referencing all those cartoons and WW2 movies, I’m not sure what “we” all thought/knew about that wooden box with the T-handle that made things blow up. Sometimes the explosions were from a trail of black powder, or the fuse was lit and dynamite was tossed, while other times the wooden box with the plunger handle was raised up, then depressed, and as we waited on the edge of our seats; nothing happened. Ahhhhhhhhh!!!!! Let’s wrap it up. You have waited long enough. With the box and plunger; It’s a Dynamo or D.C (Direct Current) Generator. This is a device that converts mechanical energy into electrical energy. I didn’t know this until I started writing this blog and I work with two Alternating Current Generators large enough to light up 500,000 homes. Start with the old bike light idea before LED and battery packs. A bike tire would turn. As it did, the tire would rub up against a gear which would turn another gear, which would rotate a shaft inside a set of copper wires set up as an electric circuit, that would produce light. That’s a Dynamo. Now “you” need to blow up something and “you” don’t want to be standing next to it due to the large quantity of explosives, or the danger of rocks falling on you, or fear that the Road Runner will see you and spoil the surprise. The T-handle plunger also converts mechanical energy to electric energy. The T-handle is raised up. The handle shaft has teeth on it. When the handle is thrust down, the teeth move past a gear that makes it turn, which turns another gear, which spins the generator, which produces a charge. At the bottom of the plunge, the metal handle completes the circuit and sends the charge through the wires “you” rolled out, to the blasting cap, which explodes, which causes the Nitroglycerin to explode. Sound familiar (HEY!! !……I mean from a few paragraphs ago……not from actual stories of you trying to spring your contemporaries out of Jail). If nothing else is learned, let us remember that there are a lot more observations to be made from a “simple cartoon” than just yucking it up about a bird and a coyote. I will include a great video that I came across to further explain the plunger box. I was SCHOOLED this morning! Thanks, ZD! Just so you know, I read your future glycerin post first. Hence, my comment about the Roadrunner. LOL.